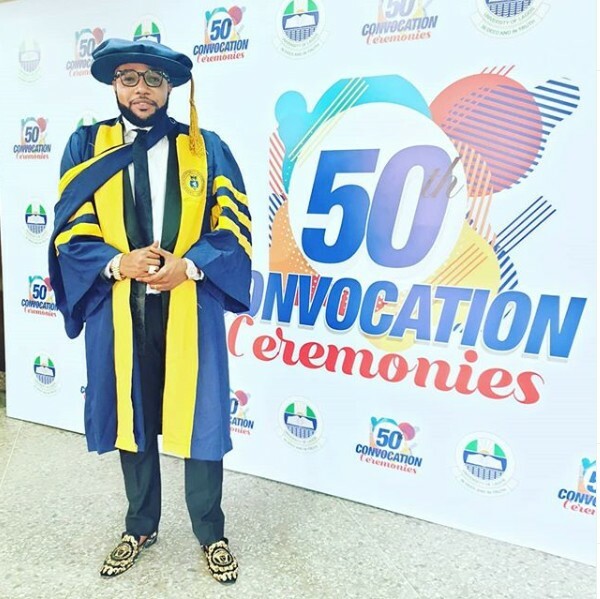 Five Star Music has congratulated him and put up a new institution. 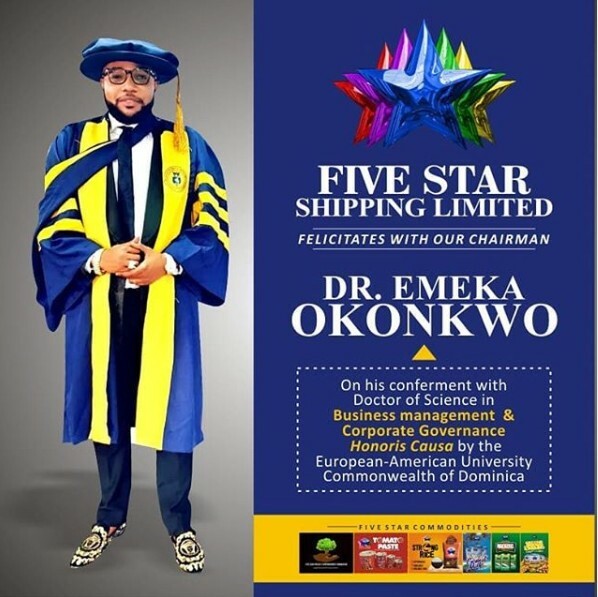 According to a new post on Five Star's official Instagram, the billionaire business man received his Honorary Doctorate Degree in Business Management and Corporate Governance from the European-American University. 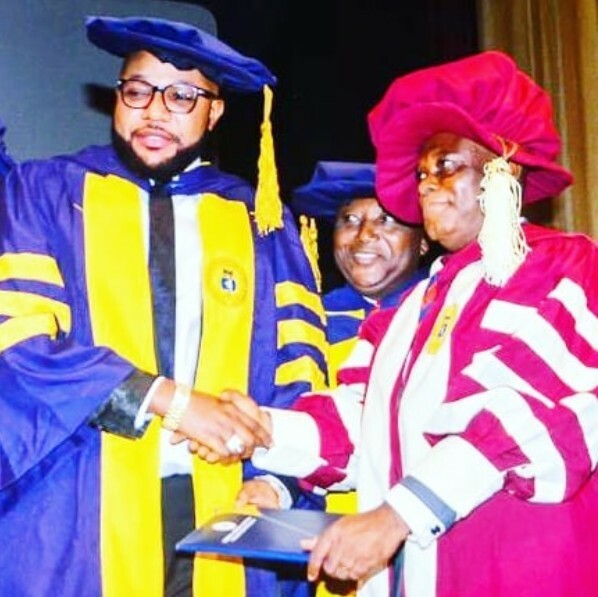 "Congratulations to our chairman on his amazing achievement / Award Honorary Doctorate Degree in Business Management and Corporate Governance from the European-American University. Many more blessings and more grace as you go on @iam_emoney1 @iam_mrse @iam_kcee .. #itistoolatetofail" the post read.